HUD is charging a East Norwich, New York, landlord with violating the Fair Housing Act for allegedly denying a resident with disabilities an accessible parking space he requested. The Fair Housing Act makes it unlawful to refuse to make reasonable accommodations when they are needed to afford persons with disabilities the opportunity to use and enjoy their homes. Housing providers have a legal obligation to modify their policies and practices for persons with disabilities, stated John TrasviÃƒ±a, Assistant Secretary for Fair Housing and Equal Opportunity. In this case, the landlord failed to modify a first-come, first-served parking policy. The resident suffers from peripheral vascular and coronary artery disease and a non-healing wound in his foot, rendering him unable to walk long distances. 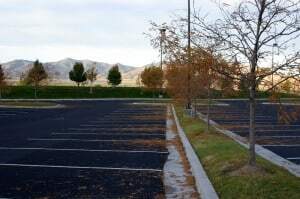 According to HUD’s charge, the resident informed the managers of his building of his condition and repeatedly asked for an assigned accessible parking space, but they denied his requests, citing their policy against designating spaces for residents. If a judge finds after a hearing that discrimination has occurred, he may award damages, injunctive relief and other equitable relief to deter further discrimination, as well as payment of attorney fees. In addition, the judge may impose fines in order to vindicate the public interest. If the matter is decided in federal court, the judge may also award punitive damages. Legal questions?Check out our Legal Services page to find an experienced landlord attorney in your area.